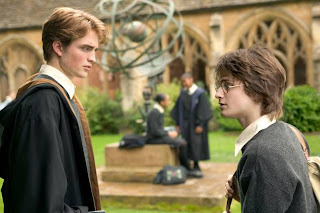 "Harry Potter is all about confronting fears, finding inner strength, and doing what is right in the face of adversity. Twilight is about how important it is to have a boyfriend." I hope he said that. Wonderful quote!